Discover our interactive programming for those young and old. Gyotaku is a traditional form of Japanese art that began as a way for fishermen to keep record of the fish they caught. They used squid ink and rice paper to create an exact image of the fish-the ink was non-toxic and allowed the fish to be eaten later while preserving records of fish species and sizes! Take home your own beautiful print, using local seafood! The plants we find on our dinner plate all came from wild ancestors. These were carefully selected for certain traits by native peoples around the world over the last ten thousand years. 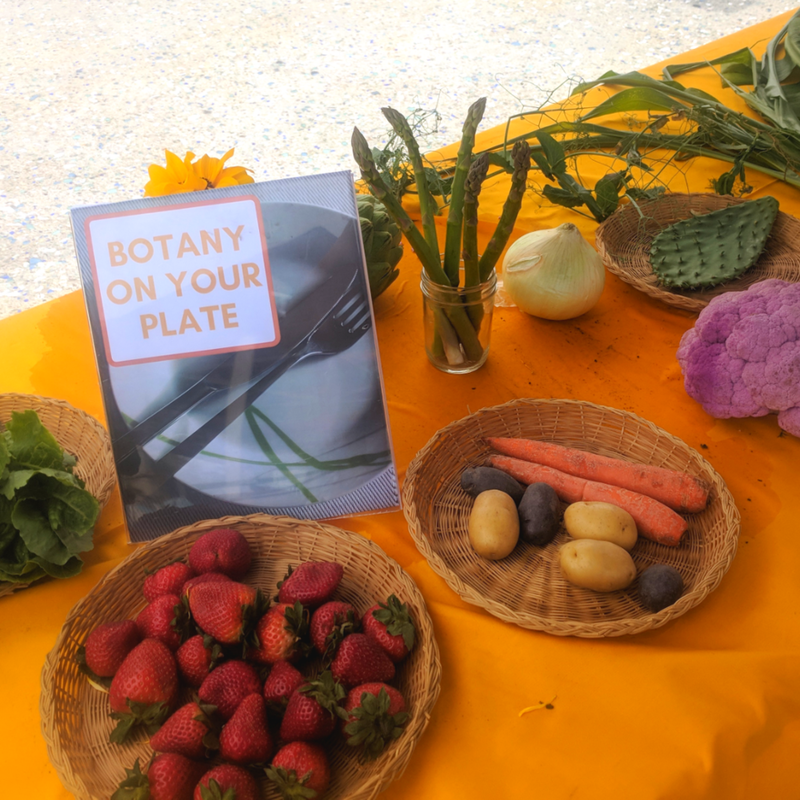 Learn plant morphology, ethnobotany and other green facts with Botanical Community Development Initiatives as their botanists look at the foods we eat. Is it a root, stem, leaf or flower? What part of the world did it come from? What you can learn can be surprising! Our bacteria and yeast buddies help us stay healthy and strong. Get up close and personal with the San Diego Fermenters Club and some of the "good bugs" that keep our bodies in balance and learn how to use these bugs to create delicious fermented drinks at home. Samples of jun, water kefir, milk kefir & Kombucha make for an entertaining experience that will thrill the little ones and Mom & Dad too!